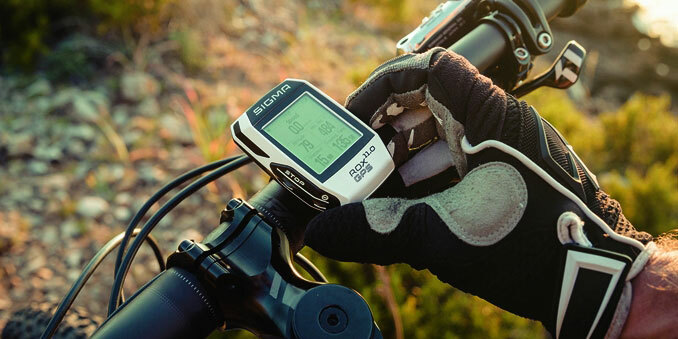 For competitive mountain bikers, cyclists, and many avid lovers of two wheels, bike GPS units became a vital tool allowing to track riding performance, speed, distance, altitude, location and vitals. It’s not only a great way to track your movement or heartbeat, but it can also keep you safe and show you the way back home from an unknown location in case you get lost. You might even save your or your fellow rider’s life by telling the emergency services the exact coordinates which will speed up the rescue. 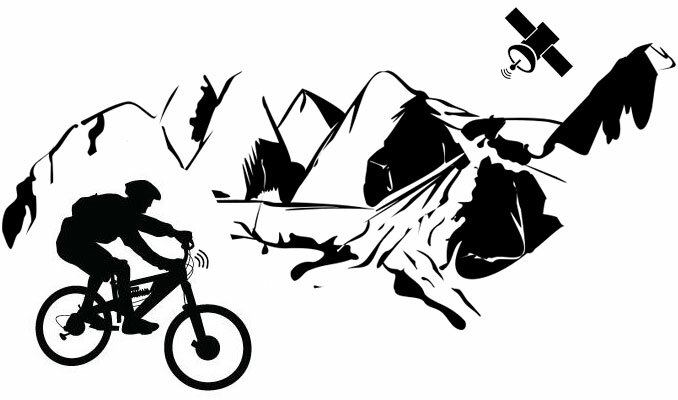 Here is a quick guide to GPS computers for mountain bikers. Even though we focus in this article on GPS Units, it is worth to mention bike basic computers as well. At the end of the day, it all started with them and they still might be all you need. Simple bike computers are battery-operated units which display key information transmitted to the screen through magnets and sensors. A magnet on the front wheel spokes is paired with a sensor attached to the fork blade which relays calculated info about the speed you are riding at, and the covered distance. Bike computers can also have optional connectivity with external sensors and smartphones to tell you your heart rate or provide some basic navigation. Yes, their functionality is limited. Performance metrics will have fewer details. They also rely on external sensors to display navigation. But, they can still be a viable option for anyone who is after live ride data without the fuss of newer technology. These devices provide good functionality, they are inexpensive, robust, and their battery life is much longer compared to GPS Units. Bike GPS Units or GPS Computers, unlike bike basic computer’s magnets measuring wheel rotation, get their data from connectivity with a network of Global Positioning System (GPS) satellites placed around the earth. These satellites determine the exact position of your bike GPS device and, as you travel between points, they are able to record the speed at which you ride. Quality models should also offer compatibility with GLONASS, the Russian version of GPS. Depending on the price, the features and functionality of an individual product can vary. Like with anything else in your life, buying the right GPS device for mountain biking will be determined by your needs and your budget. You might be even better off with a simple bike basic computer if all you need is a few basic functions. You’ll need to take into consideration your riding style, terrain, and what kind of the information you want to harvest. 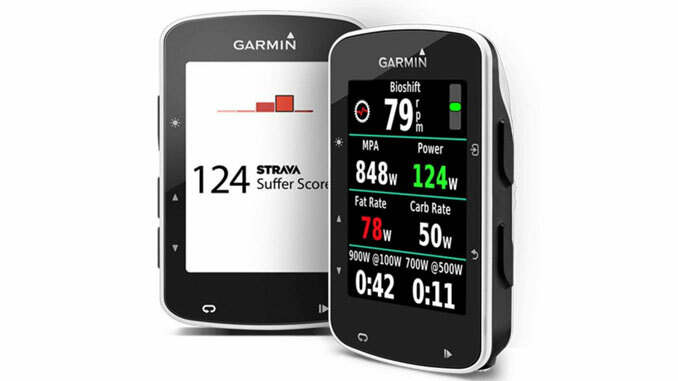 Here are a few crucial things that will determine what kind of bike GPS Unit you will need. Compatibility and incoming data from wireless external sensors (body-worn and bike-fitted) that can transmit the data to displays or smartphones. Bike specific apps that can analyse data or even feed it into virtual training environments. Highest-end bar-mounted devices will be compatible with Quarq’s SRAM XX1 Eagle Power Meter, Shimano’s XT Di2 8050 wireless ANT+ groupsets, ANT+ biometric sensors, strava app, or Garmin’s Fēnix series and TomTom’s Adventurer watches. Speaking about biometric sensors, It’s worth mentioning that torso-worn HRMs (heart-rate monitors) typically give much more accurate reading than those embedded in smartwatches. The top bike GPS computers will also add extra features like turn-by-turn navigation which provides systematic directions to your destination and is more accurate from bread-crumb style navigation. The quality software also allows for more detailed maps with trail and road names, nearby attractions or places where you can eat a hot meal. Live tracking is another handy feature that shows where you are in real time. Bike computers come also in a large variety of designs. Some of the best ones come with colour screens and touch interfaces. A lot of smartphones owners can find them more intuitive than other models, as they can mimic their own smartphones. Depending on your preferences the screen size is also a design factor to be considered. You’ll find that the larger screen size will make it easier to read the information, and it will show more of this info without having to scroll to another page. Competitive XC riders will definitely want to know how sleek, aerodynamic, and most of all, how heavy the device is. 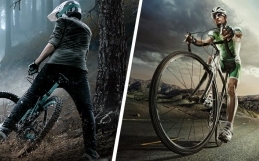 For professional mountain bikers or cyclists, extra weight can add seconds to their times. 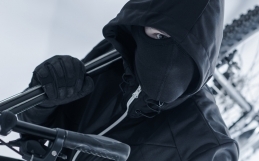 A very often overlooked key factor (especially for mountain bikers), is how the device attaches to your bike and how secure it will be on rough bumpy trails. Bike GPS units usually attach to the handlebar or the stem of the bike. A good device will stay very secure on the roughest of the trails and offer more mounting options allowing you to decide exactly how and where you want to attach it. If you are planning long distance touring kind of trips, battery capacity will be one of the most important features of your GPS computer. Longer battery life can also be much more convenient in case your unit does not give you an option to remove it and swap out a backup. The average battery life is between 13 to 15 hours, with the best being around 24 hours. 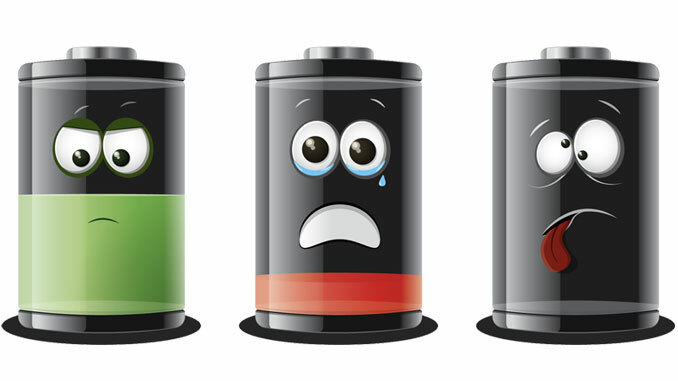 Generally, devices with more advanced features will lose their batteries’ life much quicker than basic models. Some units come with replaceable batteries, however, internal rechargeable lithium-ion batteries are still more popular for their lower weight. Serious touring riders have also an option to use dynamo hub generators, solar technology, and external battery expanders to keep their batteries working. Do I Even Need One ? With a vast range of wearables (eg. 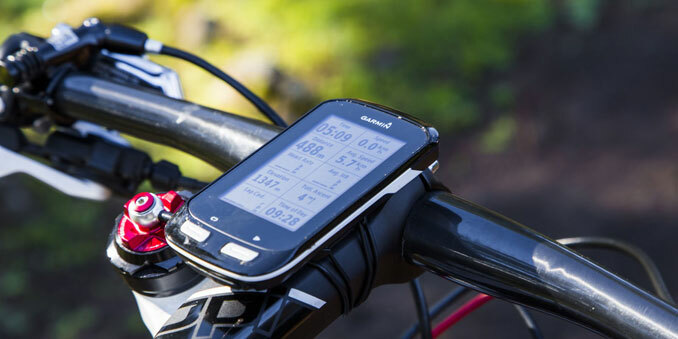 smartwatches, fitness bands) and free smartphone apps with GPS functionality available on the market, you will ask yourself what is the point of buying a specific GPS computer for mountain biking. Smartphone applications such as ‘Map My Ride’ and ‘Strava’ have all kinds of functionality… Altitude, distance, speed, directions etc. Having all these functions simply challenges the logic of having a bike GPS or simple computer unit at all. But even though you might be tempted to start off with your phone or one of the multisport GPS watches, eventually you will find that a smartphone or wearable falls down in terms of practicality. To start with, you tend to keep your phone in your pocket which is not the ideal place if you want to take a glance at the live data as you ride. You might say that there are plenty of mounts available on the market. True, but bear in your mind that smartphones are also less robust and much more vulnerable in the off-road terrain to say nothing of a crash. 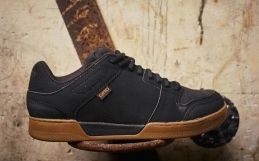 They are also not that great (if at all) in waterproofing department, and for some people can be too bulky and not quite aesthetically pleasing. Another serious issue is battery life which is much lower when compared to any bike specific GPS device. With a bunch of functionalities, even proper bike GPS Units are still not so great in this department. Apps are hard on power and will quickly drain your smartphone’s battery. Ok, enough for a two, three-hour spin, but not for a full day epic enduro trip. On the other hand, wearables like watches or fitness bands might seem the ideal solution. There are even bike mounts for GPS watches. ‘One size fits all’, right ? Yes and No. If you want to check your speed or scroll through screens while you are riding, having a unit positioned on your wrist is not always ideal since many times you will need to take both hands off the bars! Even if you have it mounted on your handlebars, its size won’t make your life any easier when riding mountain biking trails. GPS watches can be also very expensive. Many avid mountain bikers and cyclists simply come to a conclusion that it’s better to have the right tool for the job than a more expensive compromise. Do you need one ? I’ll leave the answer to you. The 3-inch touchscreen device connects to the satellite in a split second. 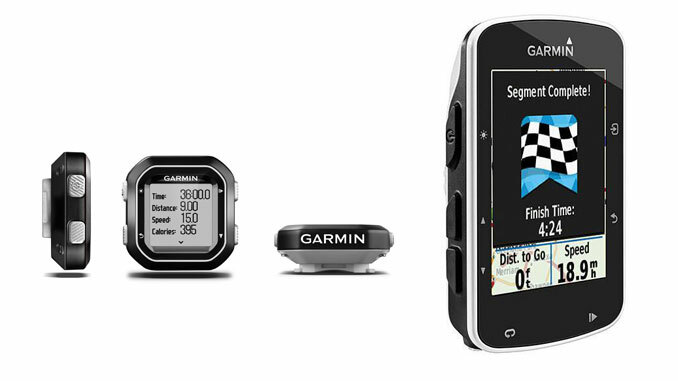 It has an instant upload to Garmin connect that allows you to use your mobile to analyse and share your movements. This feature is best suited for racers or those on training. The navigation points are on the cycle map giving you information whether you are on or off the road. Furthermore, the map shows you the elevation points, bike paths and points of interest. This gets even better because the map upload is free. Edge 1000 is compatible with ANT+ sensors which allows it to measure your power pedals, heart rate and speed. If you are using your bike for the workout, the device offers you a training calendar while indicating your power training zones. It has enhanced connectivity to your smartphone thereby giving you the live tracking GPS map. The fact that its touchscreen senses your gloves and is waterproof makes it stand out. But, with all these bold features comes one major shortcoming which is that its battery life is very short and not really suitable for long distance journeys? Also, its map downloads are an auto-derivatives. It means you will see the screen categories like Fuel Services, Air Transportation, Auto Services or shopping, which are largely irrelevant for cyclists. This is the best training and competition device that allows transmitting your data to your computer through the ANT+. 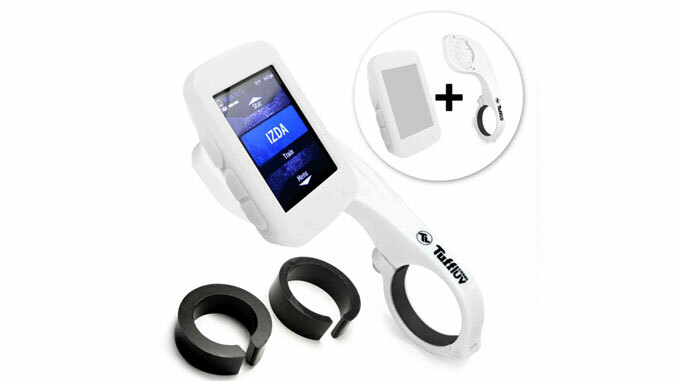 It offers your GPS features and basic navigation information, lap function and sports profile. The ROX monitors your speed, heart rate and pedal power. Its storage capacity is 1000hrs and has a high connectivity level with your Bluetooth. The drawback is that it doesn’t have a detailed mapping or GPS tracking system and the user interface can be complicated to navigate. The battery life is also a problem if you intend to use it for more than 13hrs, which again doesn’t make it the best bike GPS choice for multi-day touring trips. The device has both the ANT+ and Bluetooth for connectivity. Although it doesn’t have a GPS map it does have the sensor compatibility that uses GPS and GLONASS satellite. 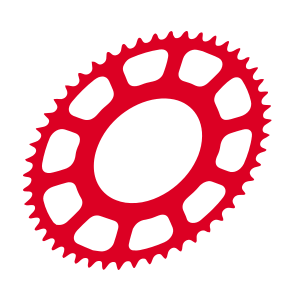 It allows you to load your desired segment to the unit using the strava live segment feature. In addition, you can send a turn by turn direction to your unit from the smartphone in a second. It has adjustable alerts with a long battery life of about 24hrs (depending on how much work the computer is doing and how many devices it’s connected to) and its accelerometer integration helps to save the battery life. 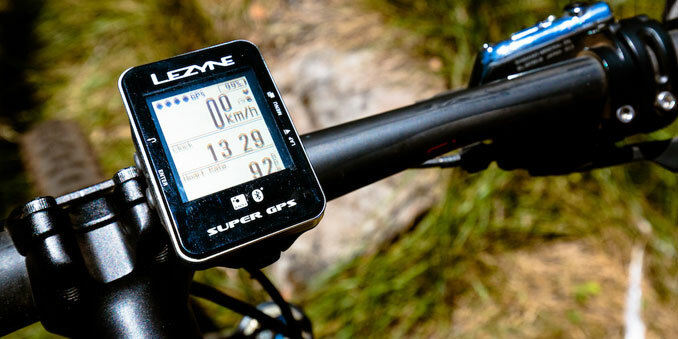 Out of three, it’s probably the best GPS computer for long mountain biking trips. However, lack of an option to change its battery wouldn’t make it the first choice for serious adventurers. Also, its maps don’t display the exact street you are at.